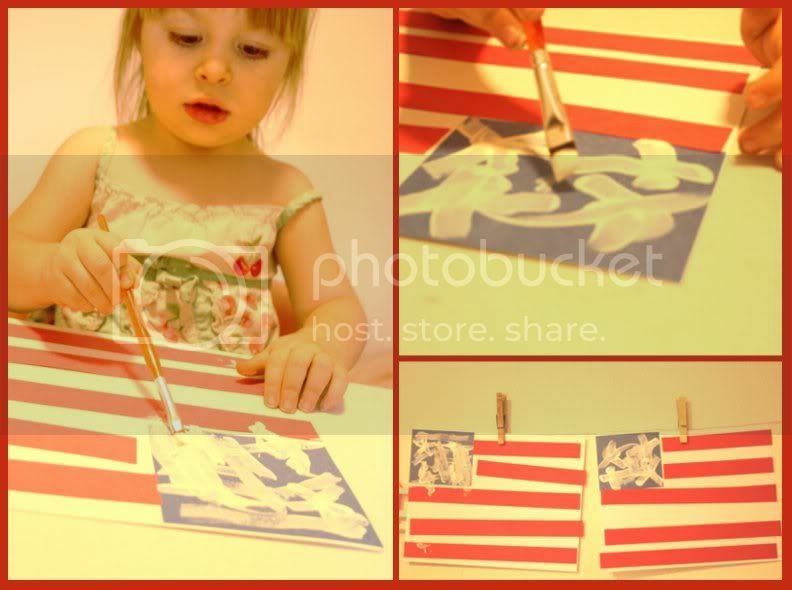 Creative Homeschool: Happy Independence Day!! Ok I know its a little late but I just wanted to share these wonderful flags the girls made yesterday. 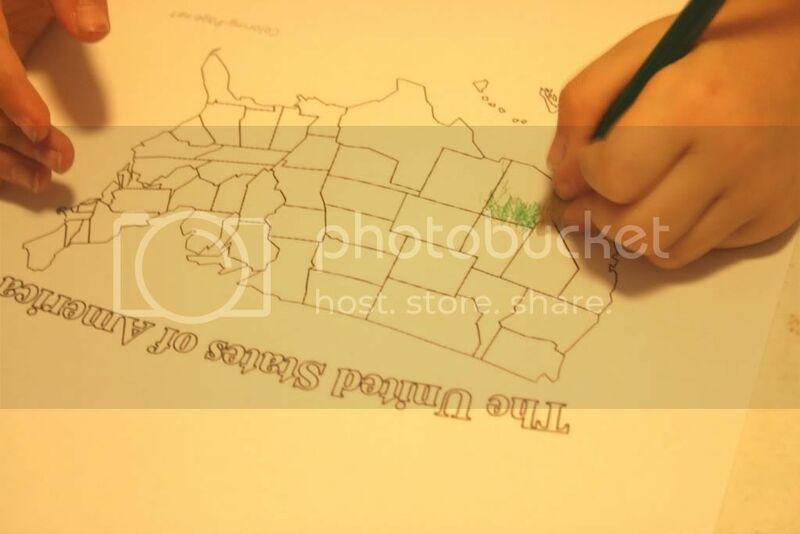 I also found this printable map at coloring-page.net. We talked about the states as the girls colored them in. Serenity got board after the 5th state but Jocelyn colored most of her map. A friend of ours gave us this foam puzzle. I found the same one at office depot for $1. First we sorted all of the states by colors then the girls helped me put the pieces back together. 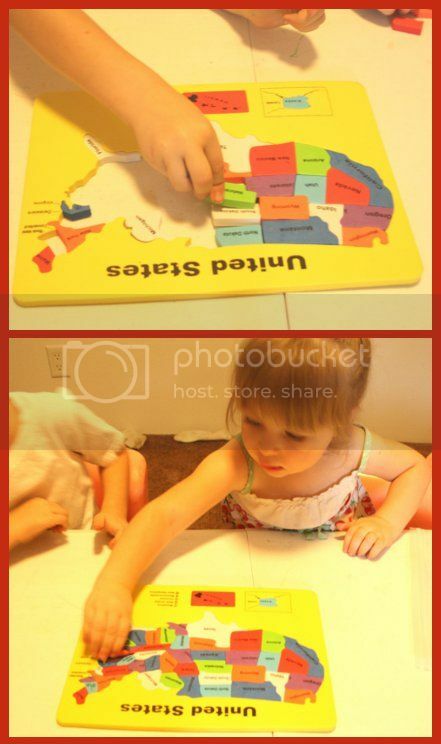 Jocelyn enjoyed trying to find each state on her coloring page map before adding it to the puzzle. I love this flag idea. 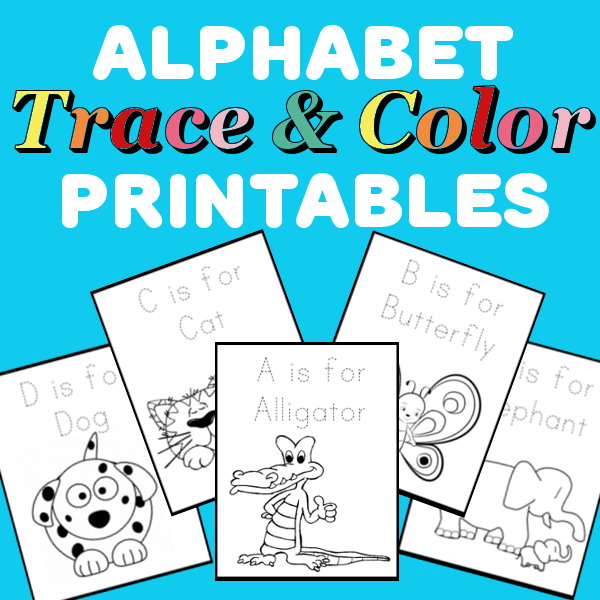 So cute and doable for kids.